Further update – it appears nothing could be done to save the store (or nothing was done perhaps). Today (21st December 2013) there was very little stock left in the shop, but there were lots of customers buying what little was left in the sale. Most of the stock will be sold at an auction in the store to be held on January 4th 2014. The store will close on Christmas Eve. It will be a sad loss for its loyal customers and for the town of Reading. It will be even harder now to find those hard to find things and to find somewhere that sells quality goods at realistic prices. Truly it is all very upsetting. 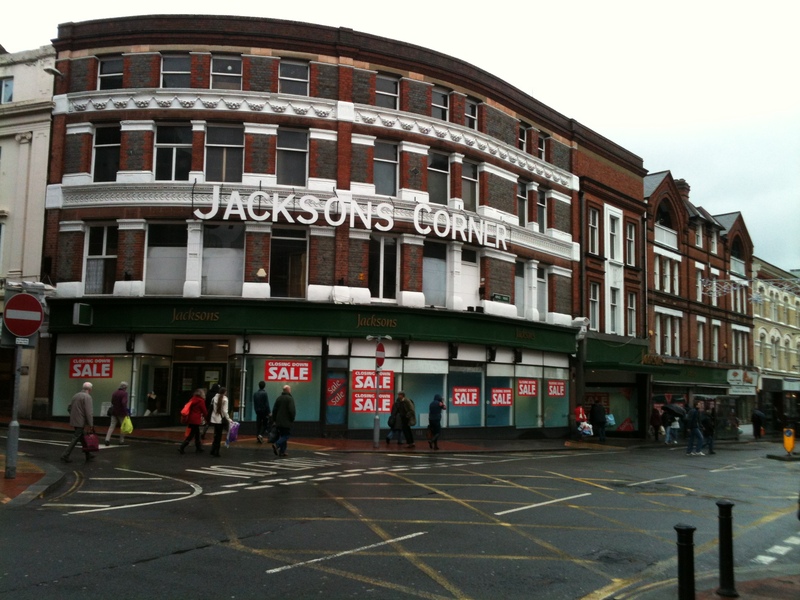 Jacksons of Reading 21st December 2013 – the fabulous store will close its doors for the last time this Christmas Eve. Photograph by author. This entry was posted in Childrenswear and Baby, Department Stores, Jacksons of Reading and tagged Back-to-School, British Department Stores, Department Stores, Jackson's, Jacksons Corner, Jacksons Department Store, Jacksons of Reading, Save Jacksons of Reading, School, Schoolwear, Stevensons, Stevensons Schoolwear on February 14, 2013 by ukmade. Jacksons of Reading is a rabbit warren of a department store in Reading, Berkshire, England where you can get all those things you can’t find anywhere else and in a fabulous environment with lots of wood panelling, wood and drawers and counters. For example gifts, accessories, sewing stuff, knitting stuff (I found acrylic made in England from companies like Robins but sadly no British wool), linens and haberdashery, textiles, a good shoe department (specialising in wider fittings) and a large crafts section. 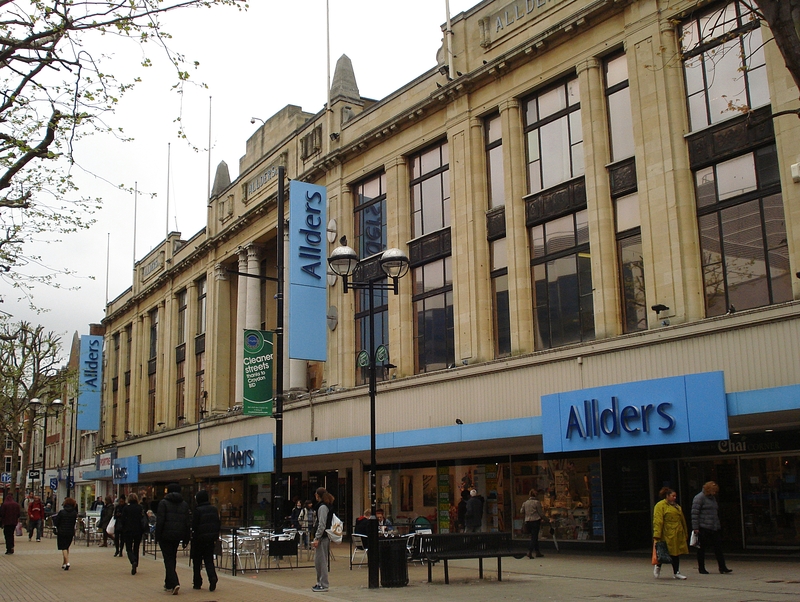 They have a massive school and scout uniforms department, dancewear, bowls clothes, lingerie, nightwear, ladies fashions and a superb menswear department. Yesterday (8.12.12) the store was quite busy and I came across UK made HJ Hall socks at very reasonable prices and lovely James Aubrey men’s duffle coats. You’ll find brands like Peter England, Tootal, Somax and Double Two here too, but these days such brands manufacture abroad. Plus they have a great suits department and they sell things like British made braces. Look for the giant Jacksons Corner neon lights! Open Mon-Sat 09:00 – 17:30. The store unashamedly markets itself at the over 40s and prides itself on serving customers. This is most definitely not a self-service store. It is a beautiful building inside and out, with a fabulous pneumatic tubes system to handle cash. 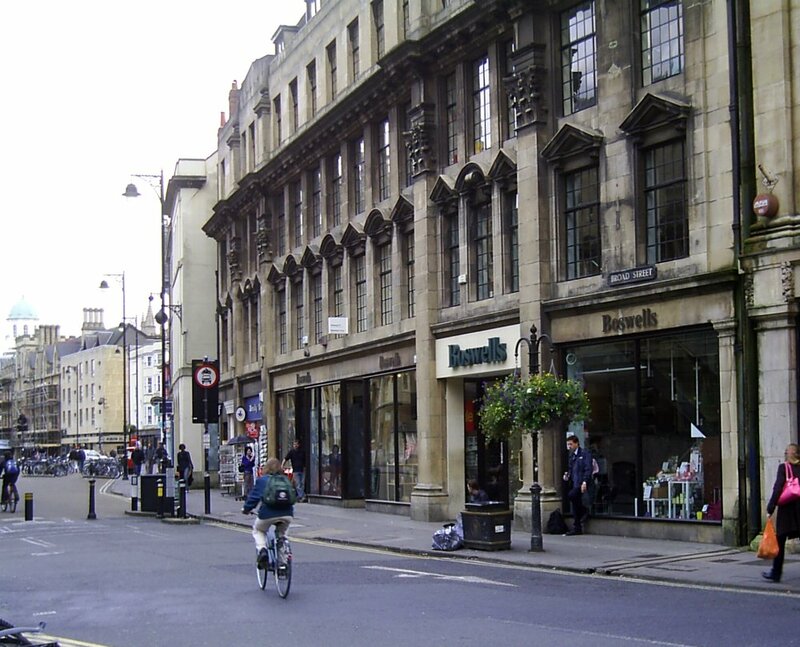 Founded in 1875 and still family run, this store is a must visit place when shopping in Reading. This entry was posted in Department Stores, Jacksons of Reading, Wool and tagged Department Stores, HJ Hall, Jacksons Corner, Jacksons of Reading, James Aubrey Duffle Coats, Reading, wool on December 9, 2012 by ukmade.